Organised retail would grow from $40 Billion to $ 200 billion in the next 5 to 7 years. Mumbai: Organised retail would grow from $40 Billion to $ 200 billion in the next 5 to 7 years, said Rakesh Jhunjhunwala at CII National Retail Summit. Successful models of retail namely Food & Grocery sectors to Footwear to Lifestyle products have done exceedingly well on the Indian stock markets and given very high returns to the investor. 2014 will be a good year for retailing in India as income levels have increased for much of the Indian population. Availability of a wide range of brands from luxury goods to basic private label products gave consumers more options to choose from and also boosted awareness of particular brands and products. Retail and FMCG Sectors form the direct path to the India Growth Story, said Naushad Forbes, Vice President, CII. These sectors offer great opportunity for both process and product innovation. These shall be critical to delivering profitable growth to the sectors. Domestic brands and local companies remained dominant among the players operating in retailing in India during 2014. In spite of various relaxations made to the rules regarding foreign direct investment in India in, international companies remain cautious about India, said J Suresh, Chairman CII National Committee on Retail. Looking ahead the mood remains positive as the Government is working to put economic growth on track. 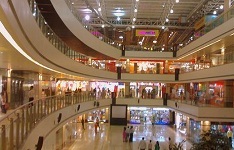 Once there is semblance of growth, funds should also pour into the retail sector. As an industry, the retail sector is seeking more foreign institutional investor (FII) participation in retail, as it will ease the funds crunch especially for unlisted retailers. In addition, there is much anticipation that there will be more clarity on the rollout of GST, which will help in uniform taxation across states and ease the service tax pressure. Over the past decade, the FMCG (Fast Moving Consumer Goods) sector of India has been annually growing at a consistent rate of 11%. This double digit growth each year has been possible by increasing consumer demands. In the past five years the growth had then accelerated to 17%. The increasing demand for the fast moving consumer goods, speaks volumes about the growth prospects of the FMCG sector in India. Indian companies are striving hard to keep up with ever-changing consumer preferences. They are also trying to outdo competition, which is why growth in this sector is simply inevitable mentioned at the CII FMCG Summit 2014. FMCG is typically the last sector to slow down and over the last three years – as sector after sector slowed down – FMCG was the one bright spot. Over the last year, FMCG has also come under pressure and hence what is needed by the industry is to think about what to do to recreate itself, stated Mr Kurush Grant, Chairman, CII National Committee on FMCG 2014-15 and Executive Director, FMCG Businesses, ITC Ltd. There is a need to understand the consumer better and finally the last mile connectivity – the distribution infrastructure and capabilities are critical to achieving success for FMCG Businesses.